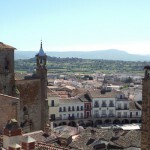 As a tourist destination, Badajoz is often overshadowed by more popular Mérida, Cáceres and Trujillo. That said, Extremadura’s biggest city is not to be overlooked. 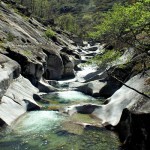 It offers enough local sights and attractions to keep you busy for a weekend. 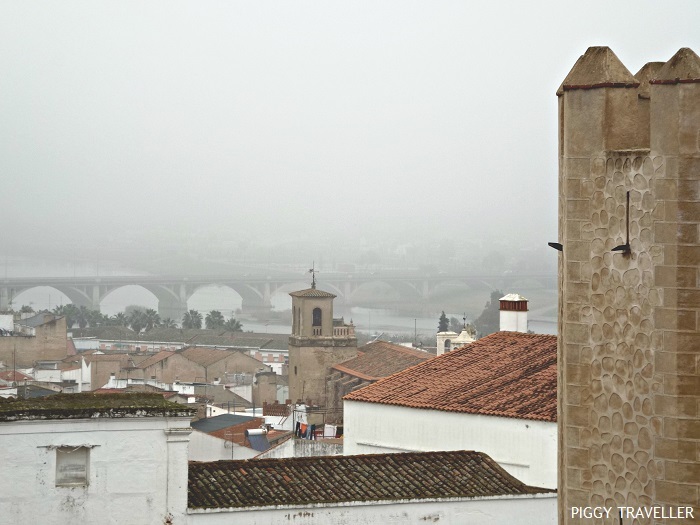 Here are 5 + 3 things not to miss during your visit to Badajoz. It was built by the Almohads in the 12th century, but some suggest it may date back to the city’s origins in the 9th century. Located in the banks of River Guadiana and bordering Portugal, Badajoz was a strategic stronghold for the Moors for four centuries. You can access the citadel by any of its four gates. 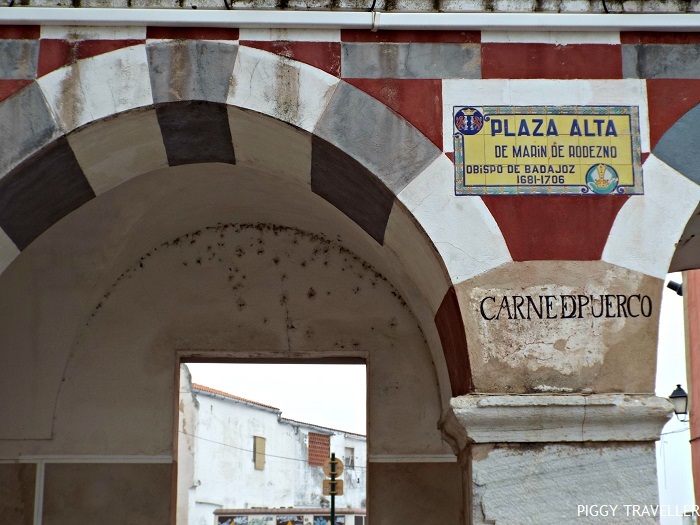 I usually enter via Puerta del Capitel, just outside Plaza Alta square. 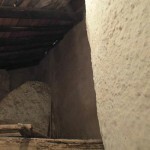 Once inside, you can climb up to the wall and walk around the citadel. The best thing are the views. From the section that is closest to Puerta del Capitel you have outstanding views over the city centre and Plaza Alta. As you walk around you’ll be able to see River Guadiana and its Roman bridge. Unless it’s as foggy as it was when I visited in December, of course! 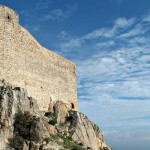 The citadel has several wall towers, but the Torre de la Atalaya, known as Torre de Espantaperros (The Dogs Frightener Tower). The legend has it that the bell ringing frightened infidels, who were referred to as ‘dogs’. 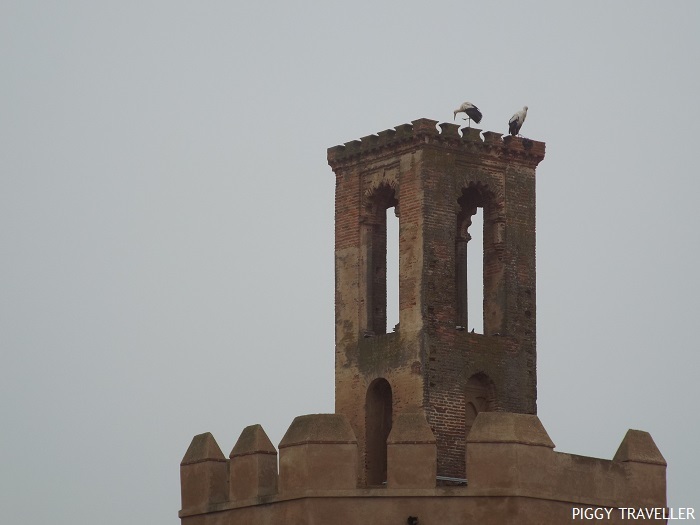 Today, the only sound from the tower you can hear is the storks’ bill-clattering. Fact: If you’ve been to Seville the Torre de Espantaperros will certainly remind you of the famous Torre del Oro in Seville. Initially, you can think that Torre de Espantaperros was inspired by Torre del Oro but, the truth is, Badajoz’s tower was built some fifty years before! 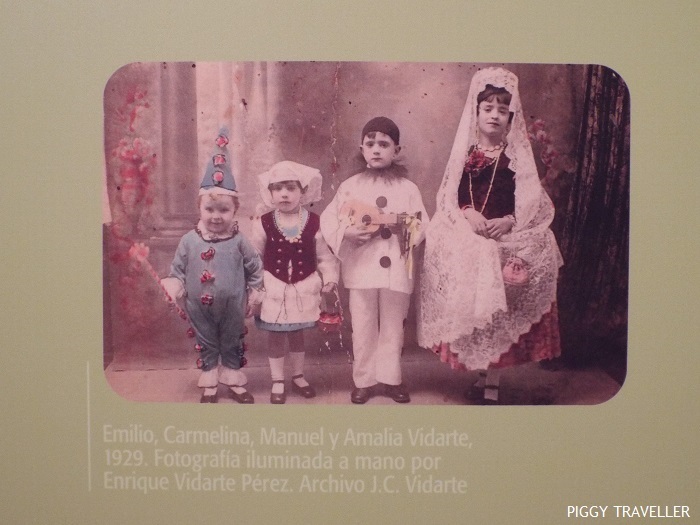 Have a walk in the park situated in the centre of the citadel and visit the Badajoz Province Archaeological Museum to learn about the history of Badajoz province through a permanent art exhibition displaying art objects found in the area in chronological order. 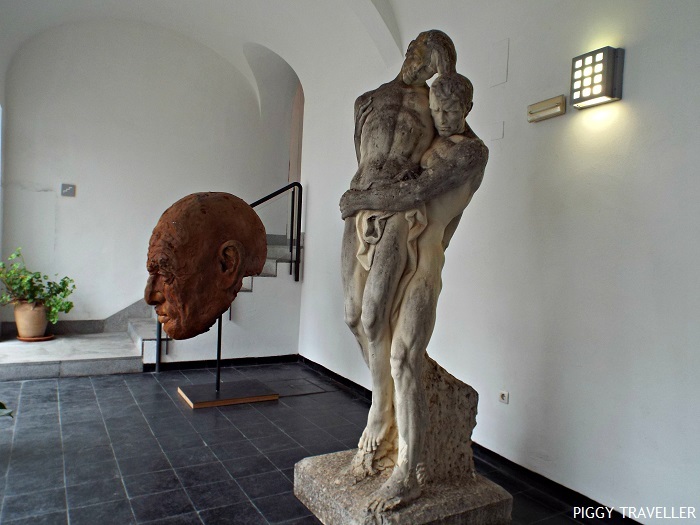 The museum is located in the 16th century sturdy-looking Palacio de los Condes de la Roca. Overlooked by the citadel, Plaza Alta is one of the most colourful and recognizable squares in Extremadura. A former market square in the Medieval times, the Plaza Alta deteriorated enormously over the years. However, a few years ago a renovation project turned the square upside-down, and it now looks prettier than ever. The square has two different areas that you can tell apart by their colours. 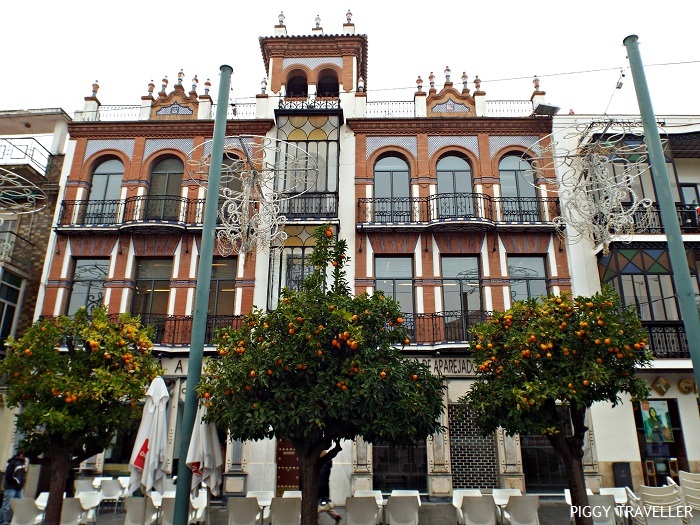 The side along the citadel has a soft brown and white decoration and is home to several relevant buildings, such as the Casas Mudéjares (the oldest houses in Badajoz, dating from the 16th century) and the former town hall. The other part of the square displays a striking red and white decoration and is home to mainly private properties. The Plaza Alta is a very popular place to meet, as there are several bars with outdoor areas where you can enjoy the sun with your favourite drink in hand. Visit Badajoz at the end of September, and you’ll find an Arab-style market in the square during the city’s Almossassa festival, which commemorates the origins of the city. You just thought about Seville again, didn’t you? 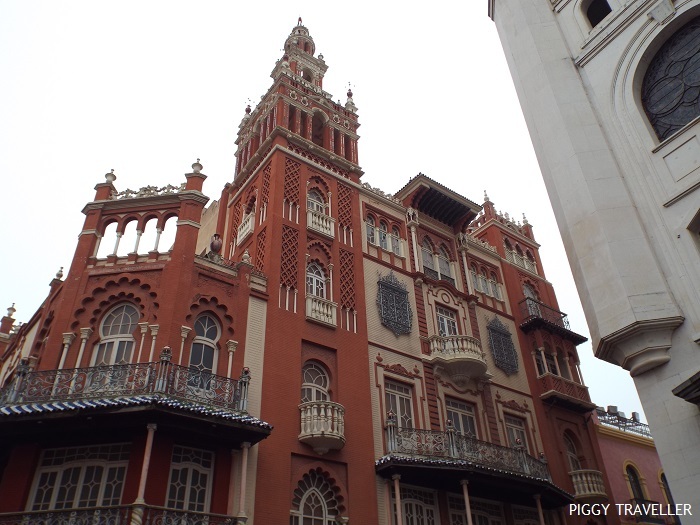 The famous Moorish tower adjoining Seville’s cathedral has its own replica in Badajoz. This one was built to be houses and a commercial warehouse. Its striking and profusely decorated red façade is something to be seen. 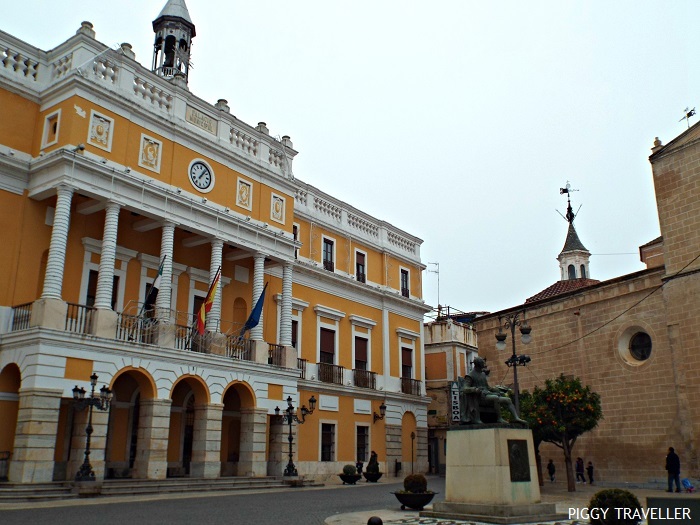 Badajoz’s city hall and the statue dedicated to painter Luis de Morales. Badajoz’s cathedral is the main highlight in Plaza de España, and it works like a roundabout, as cars circle all the way around it. You’ll easily spot the city hall as well, a Neoclassic building with a yellow and white façade. In front of the city hall stands the statue of Luis de Morales, the renown painter born in Badajoz. Have a walk around the square or stop for a coffee in one of its several bars. Sit outside and enjoy the sun (or the shade in summer), surrounded by orange trees and some remarkable buildings with big balconies and stained glass decoration. Badajoz is a city with a strong Carnival tradition and one of the most important Carnival celebrations in Spain. Associations from Badajoz and the surrounding areas compete in the official parade, that snakes around the city for hours. Every February thousands of people flock to Badajoz to enjoy four full days of continuous party. Parties in bars, in clubs, in squares and streets. There are parties everywhere and at any time of the day or the night. Update: the Carnival Museum is currently closed. 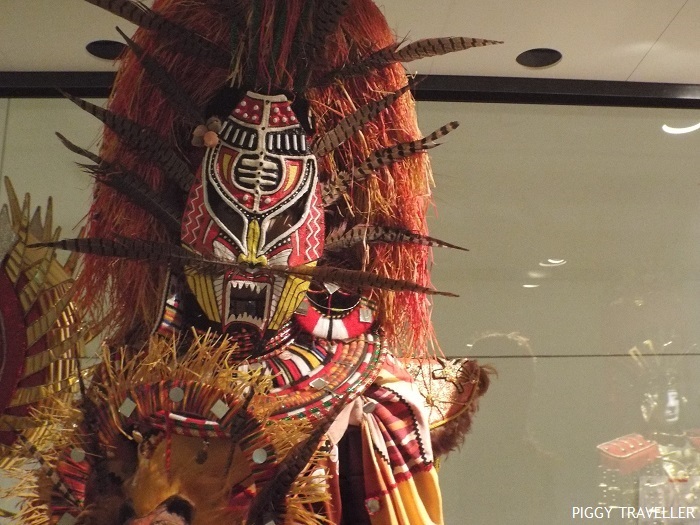 If you can’t make it during Carnival, it’s worth visiting the Carnival Museum and see some of the winning costumes in past editions, posters, hats and old pictures. Get ready for lots of reading. In Spanish. Although interesting, the museum is all about panels and lots of historical information. 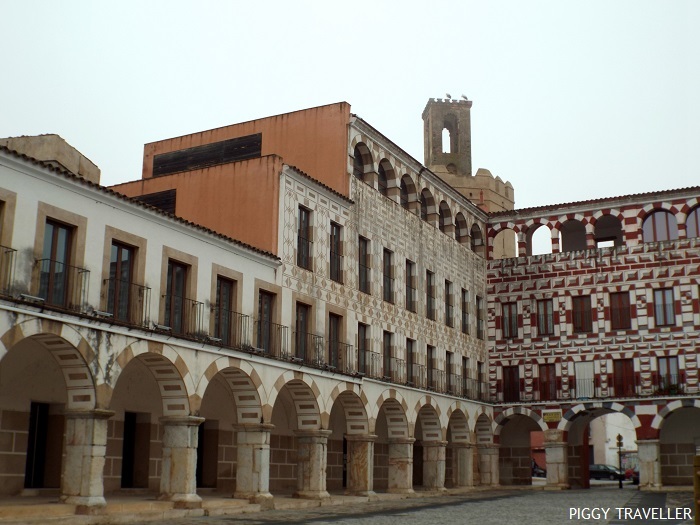 Here you can learn about the history of Badajoz through the different historical periods, if you speak Spanish, that is. Most of the information is only available in Spanish, which is a pity. Nevertheless, the building itself is worth a visit and the entry is free. Give it a try! If you like shopping or need to kill some time before going for dinner head to Calle Menacho and the surroundings. Remember, though, shops close from 2pm to 6pm in summer (2pm-5pm in winter). You may find that strange but, believe me, you wouldn’t like to be out in the street at 4pm in July at 40 degrees. I discovered this bar on my last trip to Badajoz and I quite enjoyed it. 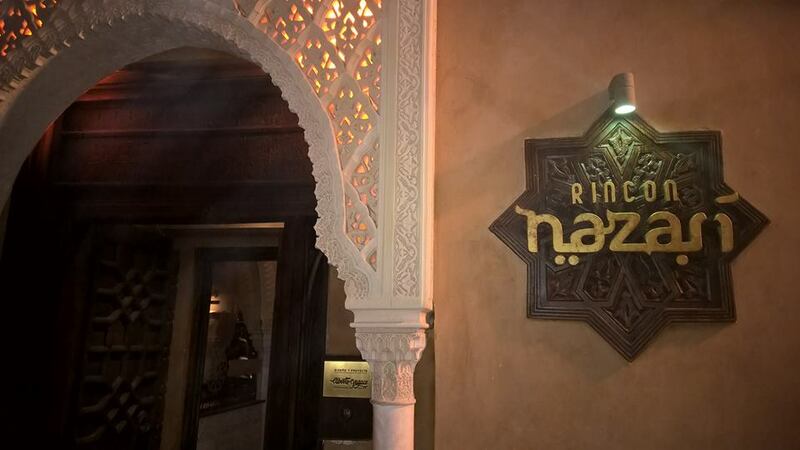 It resembles a Moroccan tea room, with an arabesque decoration, patterned sofas and cushions, lamps and its own little fountain. Pop by for an evening drink (tea, juices, soft drinks or cocktails) either inside or in its outdoor patio. Distance: 66 km from Mérida; 94 km from Cáceres; 212 km from Seville; 228 km from Lisbon. 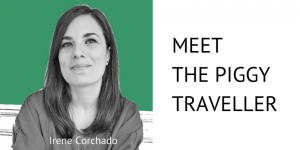 Are you planning to visit Badajoz? Leave a comment below if you need further info. 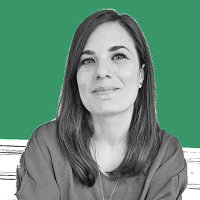 No conozco Badajoz ni siquiera Extremadura aunque siempre he tenido deseos de conocer la region y sus principales ciudades y pueblos. Como ves, algo desalentador para alguien que tenga pensado visitarla asi que te agradeceria me dieras tu opinion, corroborando o matizando lo anterior. Gracias por pasarte por el blog y comentar. 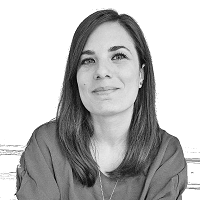 Mi opinión, por supuesto, es personal. 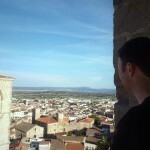 Bien es verdad que Badajoz como destino turístico vive a la sombra de otros lugares como Mérida, Cáceres o Trujillo. Eso no quita que no tenga atractivos para visitarlo durante un día o dos. La Alcazaba merece la pena, así como dar un paseo por el casco antiguo y sus museos. 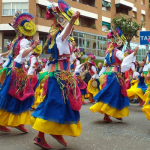 Por supuesto, el Carnaval es todo un acontecimiento y Badajoz está en todo su apogeo de fiesta y celebración. Si bien coincido en que no es una ciudad tan vistosa como otras, yo siempre digo que todos los lugares merecen la pena ser visitados. Ya me dirás qué te parece si vas ;).